Just like to many flowers, magic is attributed to these too. 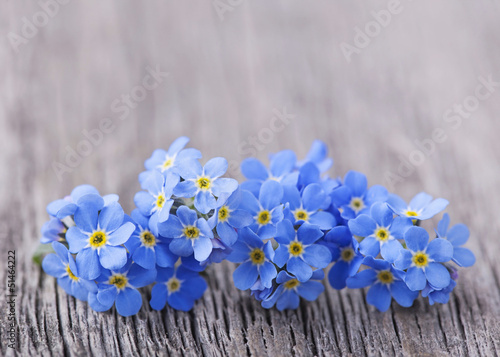 Forget-me-nots - beautiful and tempting with a blaze of blue. No other flower looks like them. They are small and inconspicuous – but they remain in the memory. A photo wallpaper with such a motif will be a wonderful decoration of a living room and bedroom. Let the magic come to your house.